As you may imagine we recieve a lot of albums for review at Progmeister from all over the globe. It will not have gone un-noticed that Progmeister has been quiet of late and this is partly due to the fact that over the past couple of months few albums were either unsuitable or simply didn’t quite excite us enough to write about them. Every now and again though we are sent a little something that fits well within our parameters and just seems to hit the spot. 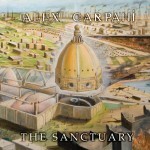 one such offering was to be had in a recent delivery form Italy in the shape of the sanctuary by Alex Carpani. Traditional Prog lovers will basque in the sheer indulgence of this mighty fine album. Alex Carpani has managed to avoid the trap that some keyboard players sometimes fall into when recording their albums, despite writing the music and lyrics, producing and arranging the orchestration Alex has enlisted the talents of a proper drummer/percussionist Gigi Cavalli Cocchi who adds a great dimention to the proceedings. Also adding extra depth to the recording is bassist Sabiano Spiga with guitarist Ettore Salati contributing some great acoustic guitar, Dulcimer and of course electric guitar via in true Prog excess his double necked beast. The Sanctuary represents the notion of inner peace to a larger degree in my understanding of alex’s explanation is correct. the whole idea of your inner self being a sanctuary from the outside world or external forces and influence. This feeling is represented if you will by a dome or such like as depicted on the front cover courtesy of Nursery Cryme and Foxtrot artist Paul Whitehead. Sadly my copy was only a demo which included a one leaf CD sized representation of the actual artwork. It is awfully nice though. Ten tracks are included on the album all of which break the 3:05 minute rule though not in true Prog tradition by a large margin. At 5:02 the opening track “Burning Braziers Mr Carpani esquire set out their stall for what is to come throughout. If you are unable to deal with the excess of such keyboard driven Prog then this is one to be missed. However, Keith Emerson fans que to the left and Yes fans to the right. I have a feeling any lover of The Flowr Kings may just be smitten by this album. Right from the word go Carpani’s love of the rich Hammond chops are enblaisened across almost every piece on the album. Fusing seamlessly into “Spirit Of Decadence” with a beautiful crisp piano sound is a little offset by Alex Carpani’s broken English singing which takes a little getting used at first. however, aha’s Morton Harkett got away with it and elsewhere on the album Mr Carpani sounds very similar to him. A sampled aria and ant Philips like twelve string concluding this piece make it very palatable indeed. Oh, and did i mention Keith Emerson? “The dance Of The Sacred Elves” can be little else than a homage to the great man himself. I have become particularly fond of this piece eluding as it does to being played on a vinyl record complete with pops and crackles in places for that extra authenticity. “Entering The sanctuary” continues in the same vein, The Hammond being driven along by Gigi Cavalli Cocchi’s thunderous toms and some wicked bass playing. Piano and synth are an absolute dream. 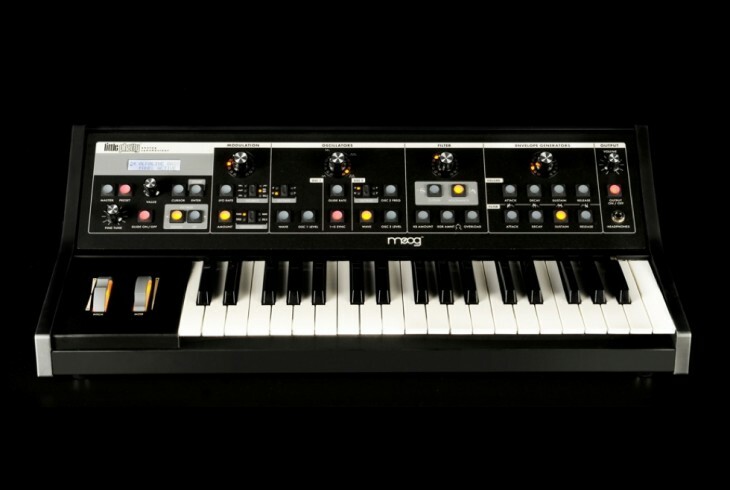 Whils most of the keyboard sounds are acquires and expressed digitally the modern way all of the Moog sounds are just that. a Moog! Having that rich fat Moog sound it really is testament to Alex Carpani’s determination and enthusiasm to make this album sound right that he as opted to use the real thing as a lead instrument. Whilst not possessing the full weight of a Minimoog sound i was intrigued enough to contact Alex with some nerd type questions. 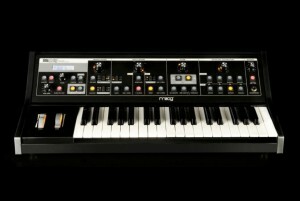 He informed me that he uses a Moog Phatty for the synth leads and i have to say i was very impressed. However, my prejudice asside for the modern way, “Knights and Clergymen” blew me flippin socks off. As far as i was concerned the Hammond on this track may as well of been the real thing as it is absolutely stunning as were the whole band effort of “Templar’s dream” where Ettore Salati added some great guitar. This really is a cobweb blower. some nice Mellotron sounds too. Some nice early Yes guitar sounds to be had here, wonderful. A distant reverbed piano sounding rather like it was being played in the saloon in Dodge City heralds the beginning of “Memories Of A Wedding”. Giving way to a Watcher Of The Skies cymbal lick the band drive headlong into full blown Prog mode with Mellotron sounds, piano and that great synth sounds. Had you listened to the fantastic “Master Of Ceremonies” blindly you would be well forgiven for thinging it was a new Rick Wakeman piece. The pace is slowed for a while with the opening segment of “Moonlight Through The Ruins”. Here Tony Banks synth techniques are utilised and the guitar chopping gives a very early genesis feel to the song. All bells and whistles have been pulled out for the terminating piece “Leaving The Sanctuary”. Listening to this made me remember just what it is i love about the pomp and circumstance in regard to Prog. there are few ryhthms or melody to bother about here just pure musical indulgance by the players and the listener. The whole band are involved in making this grand finale rather special. as you may have guessed, i was quite taken with this album and rightly so. It is magnificent. I would more than just recommend it, i would say it is an essential Prog accessory. I will have to buy myself a kosher copy. Available form CDBaby $12 for Mp3 download and $17 for the CD.